The presentation archives below are listed in order according to the conference schedule, and the sections include the video archive and slides or other presentation materials if provided by the speaker. This page may take some time to load, but presenting the information all in one page allows you to search the text for any term in the presentation title, description, or speaker bio. 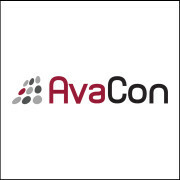 If you were a speaker at OSCC13 and wish to have your slides linked here, please email us at opensim@avacon.org. Thank you! Session Description: Members of the Planning Committee welcome attendees in-world and via webstream to the first annual OpenSimulator Community Conference 2013! Speakers: Chris M. Collins (Fleep Tuque) is an IT Analyst at the University of Cincinnati Center for Simulations & Virtual Environments Research. Her research focuses on the use of virtual worlds, social media, and augmented reality in higher education and for remote workforce collaboration, and she also manages the University of Cincinnati OpenSimulator grid. She is also a co-founder and serves on the board of AvaCon, Inc., a non-profit organization dedicated to promoting the growth, enhancement, and development of the metaverse, virtual worlds, augmented reality, and 3D immersive and virtual spaces. In her free time, Chris also runs FleepGrid, a personal research and testing grid. 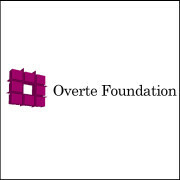 Justin Clark-Casey (@justincc) is President of the Overte Foundation, and one of the core developers of OpenSimulator, working on many different areas ranging from asset and inventory to performance and infrastructure issues. Justin created some of the better known data persistence formats for OpenSimulator, such as OpenSimulator Archives (OARs) and OpenSimulator Inventory Archives (IARs). He also provides OpenSimulator-related consultancy services. Description: A panel of core developers will discuss the future of the OpenSimulator platform. Expect a lively debate! Topics will include a variety of issues including the future of the Hypergrid, content licensing and permissions, relationships with Linden Lab, third-party viewers, scalability, project maturity, and much more. Find out where the platform is headed and learn more about the developers who make the software happen! Speakers: Justin Clark-Casey (@justincc) is President of the Overte Foundation, and one of the core developers of OpenSimulator, working on many different areas ranging from asset and inventory to performance and infrastructure issues. Justin created some of the better known data persistence formats for OpenSimulator, such as OpenSimulator Archives (OARs) and OpenSimulator Inventory Archives (IARs). He also provides OpenSimulator-related consultancy services. Crista Lopes is a Professor in the School of Information and Computer Sciences at the University of California, Irvine. Prior to being in Academia, she worked at the Xerox Palo Alto Research Center (1995-2001). She is co-inventor of AOP (Aspect Oriented Programming), a programming technology featured in the MIT Technology Review (2001) as “one of the 10 emergent technologies that will change the world.” She also serves on the board of the Overte Foundation and is the creator of the Hypergrid protocol, which allows avatars to travel between Hypergrid-enabled OpenSimulator grids. Mic Bowman is a principal engineer in Intel Labs and leads the Virtual World Infrastructure research project. His team develops technologies that enable “order of magnitude” scalability improvements in virtual environments opening the door to new levels of immersiveness and interaction among players. Melanie Thielker is the founder of Avination. As an OpenSimulator Core Developer, Melanie has been one of the most active contributors to virtual world software in general, and OpenSimulator in particular. A long term Second Life™ resident, she has gained much experience in using virtual worlds. Melanie has been involved in a number of virtual world projects and has created her own “spin” of the OpenSimulator software. Up to twelve developers have worked two years on creating the software which now powers Avination. Currently, Melanie holds the position of Director in Avination Virtual Limited, the UK based company which operates Avination. Melanie is known as “Melanie Milland” in both Avination and Second Life™. Session Description: This session will cover techniques in using mesh models in your OpenSim world. Speakers: Merrie Schonbach is known in OpenSim worlds as Andress Renault. Merrie was trained as a 3D mesh modeler through 3DTi Training Institute Online. She has created models for independent game developers and has since worked in several virtual worlds, written many articles, and started her own grid, Ruby World. Session Description: This session will look at the practical, technical, and legal issues around the use of Bitcoins and other crypto-currencies for payment on OpenSimulator grids. The presentation will provide a brief overview of what crypto-currencies are and what role they could play in the metaverse, then address what is involved in accepting Bitcoins as payment for services provided by a grid, or using them as an across-grid currency to play the role fulfilled by the Linden Dollar in Second Life. Speakers: Edmund Edgar is an IT consultant and free software developer based in Tokyo, Japan. Previous clients include The British Council, The Princeton Review and Cerego, creators of the “iKnow” language learning site. He is the lead developer of the SLOODLE project connecting Moodle with Second Life and OpenSim. He also runs Address Machine, an open directory for Bitcoin addresses designed to facilitate decentralized, peer-to-peer payment systems for online communities, and maintains a money module to facilitate payment in OpenSim. Session Description : OpenSimulator suffers from scalability problems because of its centralized simulator architecture. Distributed Scene Graph (“DSG”) is an open-source, OpenSimulator add-on that solves this scalability problem by separating the simulator components of physics, scripting and client connection. This presentation describes the DSG architecture, how it distributes the simulation computation and bandwidth and how it can be deployed for large-scale, virtual world events. Speakers: Robert Adams is a research scientist from Intel Labs with over 40 years of software development experience. He has most recently been focusing on the enhancement and scalability of virtual world experiences and is also the developer of the BulletSim physics engine for OpenSimulator. Before discovering virtual worlds, large scale, distributed application infrastructures and graphics applications were a passion. Session Description: The TILA project is a project that is funded by the European Commission within the Lifelong Learning Programme. This project aims to Improve the quality of foreign language teaching and learning processes by means of meaningful telecollaboration among peers. Five universities and five secondary schools from different European countries team up to work in OpenSim. Speakers: Nick Zwart holds the position of CEO of 3DLES, a company that is specialised in 3D Learning Experience Services with a focus on education in Opensim. He is a researcher for the university of Alcalá de Henares and consortium partner in the TILA project. Session Description: As Avatars we’re facing several dangers in the metaverse. Our inventories can get lost, our privacy get intruded, our lives spied upon and our identity stolen. We should do something about it. Here’s how. Speakers: Vanish Avatar has lived in Second Life since 2007 and in OpenSim since 2009. Vanish creates items, writes tutorials, does talks, manages communities, and runs his own grids. Vanish also has his own opinions. Ask him and he’ll tell you all about them. He is also a singer, guitarist and songwriter. He’s been writing songs for 15 years and has released 4 albums. Session Description: Moving pictures, sound and stories are the most powerful way of communicating learning content, and CAMELOT (an EU funded project proposal) takes up the challenge of video as a new language of learning and purposes to train and equip language teachers to produce visually appealing authentic conversations. In this presentation, Heike Philp, co-initiator of EU-funded LANCELOT, AVALON and CAMELOT projects illustrates how language teaching and learning meets new challenges in virtual environments and how language educators mastering those challenges are empowered to create machinima. Speakers: Heike Philp, is CEO of let’s talk online sprl, which is a live online technology provider specialised in the field of language learning in real-time in virtual classrooms and virtual worlds. She is the co-initiator of EU funded LANCELOT, AVALON and CAMELOT and runs her own online conference and co-owns EduNation island in Second Life. Session Description: Maria Korolov and New World Studio developer Olivier Battini will present the free, community edition of New World Studio and answer questions about it. Speakers: Maria Korolov is editor and publisher of Hypergrid Business and of the Hyperica directory of hypergrid destinations. Olivier Battini is an IT security analyst and 3D learning consultant based in the south of France. He is the CEO of Virrea, a virtual world consulting company which runs the New World Grid, and the founder of the Virtus Association. Session Description: Pixieviewer is a web browser based Viewer for virtual environments. The presentation will explain how it works with OpenSimulator as a datasource and show how both can be connected. Speakers: Thomas Buchauer is an IT Consultant from Germany. In his day job, he works for a well known German company in the healthcare sector, where many tasks are related to Collaboration and Knowledge Sharing. One of Thomas’ key goals in virtual worlds is to lower the hurdles that come along with new technology and make it easier to access and to use. He began the Pixieviewer project in July 2012 to explore new technologies, but what started as a technical feasibility test seemed to have tapped a huge demand, so in March 2013 he founded and registered PIXIETEC UG, a German Limited Liability Company, and moved the Project to an official business. Session Description: This presentation review the results of using a cultural heritage and urban regeneration project brief with a number of groups of final year students working in a range of virtual environments. The deliverables and results of each group reveal not only differences in the abilities and motivations of the groups, but also some of the strengths, weaknesses and idiosyncrasies of the different platforms used. In this presentation we reflect on the use of cultural heritage projects in virtual worlds, as well as on the project outcomes and what they reveal about each of the platforms. Speakers: Daniel Livingstone teaches Computer Games Technology at the University of the West of Scotland. A co-founder of SLOODLE, Daniel has been involved in a wide range of teaching and research initiatives in virtual worlds. Daniel is also on the Board of Governors of the European Immersive Education Initiative. Session Description: Cynthia’s keynote address, entitled The Exodus to the Virtual Frontier: The Seductive Lure of the Mindspace, takes a glimpse at the future of virtual worlds and what makes them compelling as we explore the advances in the architecture and the social construct that supports multidimensional engagement. Speakers: Cynthia, as Lyr Lobo, is a researcher, professor, software engineer and pioneer in the use of virtual environments for education, simulation and modeling. In 2010, her team won the $25,000 Grand Prize in the Federal Virtual World Challenge. She is a professor in the Doctor of Computer Science program at Colorado Technical University, and in 2009, she designed and launched the Doctor of Computer Science in Emerging Media degree to encourage research in virtual worlds and Web technology. She co-authored two books, 120 presentations and numerous papers, mentored 400 middle school students in Ramapo’s virtual world, worked with Will Wright on the TV show Bar Karma and co-hosted the ISTE 2013 EPIC Leadership alternative reality game with Peggy Sheehy that featured Jane McGonigal. She is known as Lyrae the Insane in the World of Warcraft. Session Description: The Kitely Market is designed to help join all Hypergrid-connected grids into one viable ecosystem; finally creating a critical mass of content, merchants and buyers to help the metaverse evolve from a collection of standalones and small grids to a unified market that can attract serious investments. Ilan will present the Kitely Market, and will discuss its many benefits for merchants. consumers and businesses across the metaverse. Speakers: Ilan Tochner is the CEO of Kitely, the biggest commercial provider of OpenSim regions. Ilan formerly held key positions in several funded and unfunded startups, including CEO at IDChoice and Director of Infrastructure Development at OmniSky. Ilan has an MBA from Tel Aviv University and a B.Sc. in Computer Science from the Hebrew University of Jerusalem. Session Description: This presentation will provide an in-depth look at the creation and utilization of an artificially intelligent bot built with open source frameworks. The application of open source technologies will be discussed, as well as the use of Artificial Intelligence Markup Language combined with web services to provide realistic user interactions. Speakers: Kenneth F. Allwine II (Kenny) has 5 years of extensive experience in Virtual Worlds and SCORM Learning Management Systems, including integrating a SCORM LMS into multiple virtual world platforms. Mr. Allwine has developed multiple virtual world training scenarios and simulations utilizing the latest technologies of OpenSimulator. Mr. Allwine has a B.S. in Computer Science and an M.S. in Management Information Systems from University of Mary Washington. Mr. Allwine is a Senior Software Engineer at Tech Wizards, Inc., and an adjunct professor at the University of Mary Washington. Session Description: The presenter will discuss and demonstrate El Secreto de Ek Balam, an OpenSimulator project for Spanish language learners. Although in the preliminary build stages, the project incorporates open-educational resources, game-based learning and virtual worlds to create a language platform that engages students in a more active method of language acquisition. The session will engage attendees in a discussion of virtual worlds for languages and education in general. Speakers: James T. Abraham, Ph.D. has been working in virtual worlds since 2006. As Calisto Encinal in Second Life, he created Mi casa es su casa, an immersive, interactive Mexican village with realistic buildings and over 25 learning activities. Since 2007, he has taught a college-level Spanish course in SL every semester, but now is exploring opportunities in OpenSimulator. Session Description: A technique to achieve distributed simulation within the OpenSimulator and Second Life tools is explained. The application of this technique to traffic simulation is described. Speakers: Crista Lopes is a Professor in the School of Information and Computer Sciences at the University of California, Irvine. Prior to being in Academia, she worked at the Xerox Palo Alto Research Center (1995-2001). She is co-inventor of AOP (Aspect Oriented Programming), a programming technology featured in the MIT Technology Review (2001) as “one of the 10 emergent technologies that will change the world.” She also serves on the board of the Overte Foundation and is the creator of the Hypergrid protocol, which allows avatars to travel between Hypergrid-enabled OpenSimulator grids. Brain Fitness for Boomers in Virtual Worlds: The Wave of the Future? Session Description: Aging Boomers are a growing demographic in virtual worlds – seeking relaxation but also cognitive stimulation, spiritual communities, social connections, and other positive ways to stay engaged with life. In Second Life, Lynne’s Whole Brain Health Fairgrounds give visitors hands-on experiences and activities that promote well-being as people age, based on current research from psychology, neuroscience, and the arts. Virtual worlds can effectively offer both education about brain fitness and actual practice of behaviors that produce a healthy lifestyle, even if participants are geographically isolated, housebound or disabled. Lynne will illustrate how the Fairgrounds offer scientifically validated programs that can lead to better lifestyle choices inworld and out. Speakers: Lynne Berrett/Lissena Wisdomseeker (M.A., M.S.W.) has been a university instructor in literature, a college counselor for at risk-students, a psychotherapist in private practice, and (in semi-retirement) a life coach. She is a co-leader of the MentorCoach Alliance for Positive Psychology. She and her husband, a musicologist, blog about the connection between music and well-being at http://musicandhappiness.com and are active in the American Society on Aging. Session Description: Learn how to make content that can be deployed throughout the Metaverse with a minimum of stress. Format your workflow, and organize your workgroup for maximum creative flow. More of a workshop than a talk, Annabelle will share her working methods and invite your participation. Speakers: Ann Cudworth (Annabelle Fanshaw) is an Emmy award winning set designer in the physical world, and creator of virtual environments in the Metaverse. She and her build team have been making interactive landscapes and story/game sims in Second Life and OpenSim since 2008. In early 2014, Taylor and Francis will publish her first book- “Virtual World Design”. Excerpts from that will be included in this workshop. Session Description: A discussion panel about the current state of the Hypergrid and possible future developments. Topics will include issues such as Hypergrid user identification, transfer permissions, security and distributed asset fetching. Session Description: Visit the Air Force Research Laboratory Discovery Lab Virtual Open House to view mentored student teams that tackle real world multi-disciplinary research projects year-round and share their results and experience with the community through outreach. Visit the Virtual Discovery Center for a poster session on the latest projects at the lab. Professional conduct is expected. Speakers: Melanie Thielker is the founder of Avination. As an OpenSimulator Core Developer, Melanie has been one of the most active contributors to virtual world software in general, and OpenSimulator in particular. A long term Second Life™ resident, she has gained much experience in using virtual worlds. Melanie has been involved in a number of virtual world projects and has created her own “spin” of the OpenSimulator software. Up to twelve developers have worked two years on creating the software which now powers Avination. Currently, Melanie holds the position of Director in Avination Virtual Limited, the UK based company which operates Avination. Melanie is known as “Melanie Milland” in both Avination and Second Life™. Session Description: We would like to invite all residents and friends of the various grids of the Metaverse to celebrate diversity with us. People who are unable to attend the conference can join us at 20:00 German time (8 pm, which is 11:00 am PDT). For conference attendees, please note the different time zones listed below. We were able to win DJ Digital and DJ Zap Hax over recently to support us. These two experienced DJs with diverse music are waiting for you! Open to all at least 18 years old. Session Description: Celebrate! All OSCC13 Attendees are invited to Littlefield Grid for the best dance party in the Metaverse. Live DJ–our very own Walter Balazic–will be spinning tunes at Speakeasy Dance Club and all are welcome to join in the fun. Relax after a day of conference sessions with great music, new friends and good times. Grid has 18+ only requirement. No child avatars are permitted on the grid. Session Description: Members of the Planning Committee welcomes attendees in-world and via webstream to the second day of the OpenSimulator Community Conference 2013. Session Description: This keynote panel will feature highlights from three innovative real world applications of OpenSimulator. Douglas Maxwell will discuss the Military Open Simulator Enterprise Strategy (MOSES) project and the US Army’s efforts to develop a a completely independent, persistent virtual world, running in an enclaved network and capable of multiple levels of secured processing for military simulations. Claus Nehmzow will discuss the lessons learned developing English Adventureland for 3D Avatar School, including the technical, business, and educational challenges faced, and Christer Lindstrom will discuss how Encitra creates a communication platform for the development of the urban landscape based on visualization, simulation, social networking and data mining. Speakers: Douglas Maxwell conducts research into the use of virtual environments for strategic applications as a Science and Technology Manager for the U.S. Army Research Lab, Simulation and Training Technology Center in Orlando, Florida. He is the founder of the Military Users of Virtual Worlds working group and serves as a virtual world technology advisor to the Office Deputy Under Secretary of Defense Readiness. He is the director of the Military Open Simulator Enterprise Strategy (MOSES), which is exploring extremely flexible virtual environments such as real time terrain warping in response to explosions, context switching artificial intelligence behavior models, and computational steering in response to trainee input. He was awarded a patent related to automated terrain generation and multiple engineering and innovation excellence awards from the U.S. Navy. He holds a bachelor’s degree in Mechanical Engineering and a master of science in Mechanical Engineering with a significant course background in software engineering. Mr. Maxwell is currently pursuing a Ph. D. in Modeling and Simulation at the University of Central Florida. Christer Lindstrom is the co-founder of the International Institute of Sustainable Transportation (INIST), board member and co-founder of Encitra Inc and is leading a global effort to research and develop a Aurtomated Transit System using solar and other sources of renewable energy. Mr Lindstrom is also a member of the Swedish Center Party and was elected as an alternate for the parliament of Stockholm County in 2012. Claus Nehmzow is an entrepreneur and leader in developing strategic innovation for market success. He has over 25 years experience building businesses and consulting to premier clients world-wide, on business applications of new technologies, particularly social and participatory media, virtual worlds and immersive environments. Prior to founding 3D Avatar School, Claus held a number of leadership roles including at brand and user experience agency Method (General Manager International), PA Consulting (Partner and Virtual World Practice Leader), Shazam Entertainment (Angel Investor, COO and Director International Business Development), Viant (General Manager Viant Germany), Booz Allen Hamilton (Partner), and accenture (Senior Manager). From Germany originally, Claus worked and lived in Zurich, New York, Munich, London and since 2008 resides in Hong Kong. Session Description: Ann Cudworth (Annabelle Fanshaw) will present a comprehensive overview of process for designing an effective virtual environment for teaching, training and entertainment. She will be presenting an early look at the information from her book “Virtual World Design” which will be published in early 2014. She will also share mesh and methodologies for using it across OpenSim, Second Life and Unity3D platforms. Session Description: The 3D Web Round Table is developing the MUM Kickstarter to raise funds to develop a web-based universal marketplace with a secure universal asset delivery system to simultaneously deliver items to multiple virtual worlds. MUM will move content storage from a single in-world grid model to an architecture where items are stored on the Internet for secure cross-grid transfer. This grid-agnostic approach will include an API/SDK to allow developers to create dynamic expansions on its functionality. Speakers: Theresa Kinney-Johnson of AirisApps, LLC has extensive experience with multiple virtual worlds and game platforms. David Fliesen is chair of the 3D Web Round Table with extensive experience in virtual worlds and education. He is a Master Training Specialist and taught journalism and broadcasting for the U.S. military at the Defense Information School (DINFOS) and recently developed a college undergrad course on engineering virtual worlds. He is currently a student at the Art Institute with a major in Media Arts & Animation. Session Description: Simian is an open-source, drop in replacement for the OpenSim Robust grid services. Built on PHP and Apache as a set of web services, Simian leverages years of work optimizing, scaling, and securing web applications to enable OpenSim grids to deliver high quality and appropriately secure user experience. This presentation will provide an overview of Simian, some information on how to deploy it, and some best known methods for scaling performance. Speakers: Mic Bowman is a principal engineer in Intel Labs and leads the Virtual World Infrastructure research project. His team develops technologies that enable “order of magnitude” scalability improvements in virtual environments opening the door to new levels of immersiveness and interaction among players. Session Description: Using the Data Detectives Game as a [case study] backdrop, the presenter will detail the essential virtual world learning simulation components identified by student users as well as demonstrate and discuss the pedagogical elements and innovations utilized to maximize learner engagement and increased learning outcomes. Also, the techniques used for monitoring student progress and adapting the virtual learning simulation to the needs and/or preferences of the learners will be demonstrated and discussed. Speakers: Kay McLennan is a professor of practice at Tulane University. Kay started using virtual world simulations in her e-learning courses in 2008 and was a finalist in the Federal Virtual World Challenge in 2012 for her Prisoner’s Dilemma game theory simulation and in 2013 for her Data Detectives Game. Kay’s recent presentations on virtual world educational simulations include “Interactivity, Engagement, and Increased Learning Outcomes in 3D Virtual World Educational Simulations and Activities” and “Leveraging Government and Academic Partnerships in MOSES ” (EdMedia Conference, June 2012), “[Academic] eLearning OpenSimulator Use Case” (Federal Consortium for Virtual Worlds, May 2012), and “Using 3D Virtual World Models in e-Economics Instruction” (26th Annual Conference on Distance Teaching & Learning, August 2010). Session Description: This paper explores how to provide support in a training-orientated “I-Zone” augmented by intelligent systems technology – with the aim of providing a virtual space for intelligent scenario-based learning. The approach is to: 1) constrain the world situation and activities possible, 2) select relevant tasks and events , 3) inject events to situation to keep learners ‘in the zone’, 4) induce appropriate learner ‘activity in context’. Speakers: Austin Tate is Director of the Artificial Intelligence Applications Institute (AIAI) and holds the Personal Chair of Knowledge-Based Systems at the University of Edinburgh. He holds computing and e-Learning degrees and a PhD in Machine Intelligence. His research work is focused on emergency response and involves advanced knowledge and planning technologies, and collaborative systems especially using virtual worlds. He is Coordinator for the Virtual University of Edinburgh (Vue) and runs the Openvue OpenSimulator grid. Session Description: Learn how to develop a project that brings to the surface the commonality among the people that make up your social network. Whether your community is built around a cause, residential and commercial developments, events and activities, or a build, this session will help you discover and make long-term plans for crowd-sourcing your social network to build vibrant virtual communities. Speakers: bladyblue Bommerang has been active in Second Life since February 2005. As a member of SL’s official greeter and mentor group since its inception, bladyblue has had many opportunities to develop ‘best practices’ in the area of community crowd-sourcing online. Recently bladyblue spear-headed the Kitely Plaza project to create a massive starting point world that has organically grown into a social hub. bladyblue is now testing her theory of a free mainland that will grow into communities that become a working virtual society. Session Description: After a brief introduction presenting some samples of different genres of machinima, this session will discuss how machinima can enhance language learning. We will work in small groups and discuss scenarios of various language levels and genres that can enhance language learning and develop ideas how such scenarious should be set up to make them effective for teaching. Speakers: Christel Schneider, Dipl.-Pd.,OLTCert, is the managing director of CSiTrain, established in January 2013. Prior to this she was the project manager and director of ICC the international language association. Christel has also worked as a visiting lecturer at Hamburg University (Dept. of Education) teaching didactics and methodology for more than 10 years. She has frequently been involved in various EU funded projects, including training and learning in 3D worlds. Christel has created different genres of manchinima for language learning. Session Description: Virtual currencies have been in the news a lot lately this year, with the meteoric rise and fall … and rise … and fall … of Bitcoin, and Second Life’s antics with third-party currency exchanges. Virtual currencies open up grid owners to multiple potential legal liabilities. This panel will include a legal expert who will talk about the regulatory implications of virtual currencies, and an OpenSim vendor who will talk about the practical aspects of setting up a virtual currency. Alex Kadochnikov is an attorney licensed in New York and New Jersey, specializing in Bankruptcy, Immigration, Healthcare and Regulatory Compliance. His regulatory compliance practice involves implementation of anti-money laundering policies and procedures, and he also serves as a liaison between the client and financial regulators when regulators demand production of written requests and documents. Alex immigrated to the United States from Russia in 1996. After graduating college, he held several law-related jobs and after working as an in-house litigation paralegal, decided that he wanted to become a lawyer. During the last year of law school Alex learned about new forms of payment systems in the form of virtual currencies, and since then he has been closely following legal developments in that new and exciting area. Session Description: There are a number of viewers (3D graphical clients) that support connection to OpenSimulator grids as well as the Linden Lab grid. In this panel, representatives from Firestorm (firestormviewer.org), Kokua (kokuaviewer.org) and Singularity (singularityviewer.org) will talk about the OpenSimulator-specific features of their viewers and the advantages and challenges of working with the platform. There will also be a discussion of how they see the metaverse landscape evolving and what they would like to see in the future, both in terms of viewer and server-side features. Speakers: Nicky Perian is retired from the United States Army and ABB. Building the Kokua Viewer is his major hobby, since most of his work experience was hardware and his computer experience dates back to an aircraft Doppler navigation system that had an analog computer with input / output to the aircraft instruments and the system’s on board digital computer. While with ABB, Nicky worked on Honeywell 316, 6-36 and 6-43 minicomputers with multiple Intel 8085 microprocessors used for discrete signal processing. It was here that he became involved with software maintenance including applying bit level patches and later on writing patches with system utilities. Some of these patches were original authorship. After retirement, Nicky found that he missed the technical aspects of work and after joining Second Life discovered its open source project. Nicky believes building Kokua Viewer is good brain exercise, better than Solitaire or Sudoku. Nicky lives in a rural area of Arkansas in the USA. Jessica Lyon is the founder and Project Manager of The Phoenix Firestorm Project Inc; a non-profit company with over 80 support staff and developers working under it. The project is responsible for developing the very popular Phoenix and Firestorm Viewers used in Second Life and virtual worlds. Along with managing the project Jessica also spends time listening to user input in order to improve and advocate to protect the user experience. Cinder Biscuits is the Phoenix-Firestorm developer in charge of alternative platform compatibility including OpenSimulator and has made numerous contributions across several virtual world projects. Her goal is to see the metaverse thriving on it’s own unburdened by corporate ownership. Cinder has a bachelor’s degree in journalism from the University of Utah and enjoys writing and painting in her free time. Latif Khalifa participated in the development and is the current maintainer of Libopenmetaverse (originally known as LibSL) which provided the initial communications framework for Opensim. He created Radegast Meraverse client and is currently taking part in the development of Singularity Viewer. Liru Faers (also known as Inusaito Kanya) is a member of the Singularity Viewer development team. Though he has only been working on Singularity Viewer for around two years now, he has been using simulated worlds for six years. Liru manages efforts to localize the viewer, provides viewer support through various chat channels, and monitors the issue tracker. When he isn’t working on viewer development, he can be found idling as one of his multi-tailed furry characters in some region “kneedeep in viewer code.” On the rare occasion Inusaito breaks free, he attends furry conventions and watches science fiction series such as Star Trek and Doctor Who. Session Description: Digital badges are a new form of educational credential many think will replace grades and transcripts and fuel the current movement toward competency-based education. These badges are image files that also contain meta-data. When you click a digital badge, you can learn who issued the badge, the criteria that were met to earn the badge, and even links to student work. Attend this session to learn more about how you can use digital bades to promote lifelong learning! Speakers: Beginning in 2008, Chris Gamrat started working with AESP for the design, development, implentation, and training of technology to support teacher professional development. Chris has worked on major technology support projects for AESP such as the NASA Educators Online Network (NEON) and Teacher Learning Journeys. Chris’ education background includes a B.S. in Management Information Systems, and a M.Ed. in Instructional System from Penn State. He is currently pursuing his doctorate in Learning, Design, and Technology. Hope R. Botterbusch is a recently retired educator who spent almost 40 years in K-12, college and university education. Career highlights include K-12 classroom teacher, college and university instructor, curriculum designer, program manager and grant writer. Ms. Botterbusch earned a BS in Education from Millersville University (PA) and a MSLS in Library and Information Sciences from Wayne State University (MI). Ms. Botterbusch is currently a virtual world educator and for the past four years has designed sponsored virtual projects and professional development training through NOAA, NASA and the U.S. Department of State. She also designed and taught a course for Kansas State University, College of Education on using virtual platforms for teaching and learning. Session Description: Dr. Ramloll will present highlights from his past experience designing immersive learning environments for Emergency Response and Hazmat training. He will discuss approaches that emerged for dealing with the specific (1) operational, (2) technical, (3) usability and (4) learning evaluation challenges he faced, approaches that may be relevant to a wider class of simulation exercises in immersive virtual learning environments. Speakers: Rameshsharma Ramloll, PhD Computer Science (Lancaster University UK), BTech Computer Science & Engineering (IIT Kanpur, India) has been developing immersive virtual learning environments for diverse user groups during the past seven years on platforms that include Second Life and OpenSim. He is currently the CEO/CTO of DeepSemaphore LLC, an E-Learning and Simulation Solutions company. Session Description: The real life and virtual mission of Community HIV/AIDS Resource Exchange (CHARE Project) is to provide capacity building, technical assistance, training, and social media marketing to enhance linkage and delivery of HIV/AIDS prevention, education and related services. The Kitely-based component of CHARE Project known as CHARE Village was established to increase the usability and application of OpenSim technology by HIV prevention providers, AIDS service organizations and other public health providers regardless of physical location. As with the real life CHARE Project, the objectives of the virtual-based program are to educate service providers as well as consumers; to enhance the delivery of HIV/AIDS services and resources; to expand the organization’s outreach; to establish collaborative partnerships; to earn global recognition for the organization’s programs; and to reduce HIV/AIDS stigma recognizing AIDS as a chronic disease; not a death threat. Speakers: As a consultant, instructor, and former HIV/AIDS project manager, Sally S. Cherry, MT(ASCP) is interested in the integration of virtual worlds and other social media platforms within real life and virtual-based health and wellness capacity building projects. Ms. Cherry’s professional experience and interest in laboratory science lead to a diverse public health career as a laboratory coordinator, international medical consultant, national laboratory instructor, HIV/AIDS project manager, and STD/STI lab consultant. The interest in technology and social media fuel her professional and personal mission to integrate OpenSim technology into real life public health projects as well as providing social media capacity building, training, and marketing. Session Description: Joseph Campbell observed that “one has to know how and when to put on and to put off the masks of one’s various life roles.” For me, my virtual life is not a mask but rather is just one in a trinity of places where I can wear my masks. Speakers: Grady is a world-renowned computer scientist who is recognized for his innovative work in software engineering. Grady is an IBM Fellow, an ACM Fellow, an IEEE Fellow, and recipient of the BCS Lovelace Medal and Turing Lecture. He is currently working on a major transmedia documentary on computing and the human experience. Session Description: Performing in the digital world is one of the most successful ways to hook people and connect them in a group. Performing is live moderation and the way to do that and the insights you gain from it can be used in many ways, including lectures. Join this session to learn more about Streaming and Content Creation for the 3D Environment. Speakers: Juliane Gabriel lives in Berlin, Germany . She studied classic singing, music theatre and acting at the University of Arts Berlin, worked in performing arts with Berliner Kammeroper and Transformtheater Berlin, and also is a director and teaches singing and energetic vocal work at the Musikschule Paul Hindemith Neukölln, Berlin and in international workshops in South Korea, United States and within Europe. She performs with Roland Satterwhite and Kristoff Becker in Berlin, but also outside Germany. As Jaynine Scarborough she has been pioniering avatar-based live music in virtual 3D worlds for years on platforms such as Metaplace, OpenSim, Cloud Party and best known, Second Life where she performed and organized events since May 2006. Session Description: This session will address a widespread misunderstanding that content protection isn’t possible in OpenSim, or that copyright law isn’t respected. Vanish Avatar has lived in Second Life since 2007 and in OpenSim since 2009. Vanish creates items, writes tutorials, does talks, manages communities, and runs his own grids. Vanish also has his own opinions. Ask him and he’ll tell you all about them. He is also a singer, guitarist and songwriter. He’s been writing songs for 15 years and has released 4 albums. Maria Korolov is editor and publisher of Hypergrid Business and of the Hyperica directory of hypergrid destinations. realXtend and OpenSimulator development: Is there a connection? Session Description: What is realXtend and does it have anything interesting to do for OpenSimulator development and use? This presentation is a brief review of the past years of realXtend development, current status, and a search for possible fruitful next steps together with OpenSimulator. One concrete possibility is the use of the same WebGL+WebSockets client. Speakers: Toni is a realXtend developer and a game programmer at Playsign. He has been involved with realXtend since almost the beginning, from late 2007, and was responsible first for the scripting API in the next-generation Naali / Tundra effort and later at one point for the whole open source project. He now acts as a development coordinator within the realXtend association and is responsible for technical aspects of University of Oulu’s oulu3dinfra project which is building an extensive detailed model and services of the city of Oulu in years 2013-2014. Session Description: The Virtual Islands for Better Education, VIBE, is a collaborative of college and K-12 educators and virtual world builders looking to leverage OpenSim for learning activities. What our panel will cover is our experience moving lessons from Second Life to Opensim, usage by college students for genetics and global health, usage by 4th graders for biodiversity, and construction of massive Creative Commons literature libraries. Speakers: Stephen Gasior is a biologist and biology educator who has used Second Life for college course instruction. Stephen met many other biology educators or educators who wanted to take advantage of using OpenSim as an alternate or supplement to second life and therefore founded VIBE 2 years ago. Dragan Lakic, Over 19 years of IT, training and business experience, supported by numerous IT and Training qualifications, backed by sound practical knowledge in Planning, Designing, Development, Deployment and Delivery of: • Innovative synchronous and asynchronous eLearning 3D Virtual World assessment tools and programs for Diploma, Certificate IV, III and II in Business and IT • Assessment validation and moderation for Diploma, Certificate IV, III and II in Business and IT • Individual, group and work based learning for Certificate IV, III and II in Business and IT • Digital Enterprise Program (DEP) – group and individual training sessions for Small and Medium Enterprise (SME) and Not for Profit (NFP) organisations • Internet marketing solutions with a suite of professional Web promotion tools, utilising all aspects of Web sites promotion: SMO, SMM, SEO and SEM • Fully optimised CMS WordPress Web sites, enhanced with Google maps. Session Description: We conducted a multi-method exploratory case study using data from a four-year period of the OpenSimulator project to investigate the following question: How do entrepreneurs contribute to the creation and accumulation of social capital in an open source community? Our research reveals that entrepreneurs connect themselves to diverse sets of ties, position themselves as bridges between disparate network groups, and are centrally located within the network across both time periods, making them an integral part of the success of the community. Speakers: Zeynep Yetis is a PhD candidate at the Department of Marketing and Strategy at the Stockholm School of Economics (SSE). Focusing on open innovation, Zeynep is particularly interested in the social dynamics of open source communities, global platforms offering new means of organizing economic activity and knowledge creation. Zeynep investigates how these online communities self-organize and govern themselves and the role that entrepreneurs play in these communities. Session Description: Join us to hear more about how dreams from the past can dramatically change and evolve into something completely new. In this presentation you will hear all about John’s initial experiences in Opensim while still working at Linden Lab, the creation and mangement of “Pathlandia,” initial explorations of the Hypergrid, and how it all fits in with what he remembers as Linden Lab’s original vision of an expanding Metaverse of self-hosted and interconnected virtual worlds. Session Description: Live musical performance. Vanish Avatar will play a selection of his own songs interspersed with classic folk songs. Nothing sophisticated, just a guy, an acoustic guitar and lots of tension in the air. Session Description: This presentation will discuss the growth of OpenSim from mid-2009 to today. In addition to the basic growth numbers of public grids, hypergrid-enabled grids, and users, HyperGrid Business editor Maria Korolov will also talk about some interesting trends, including the growth of commercial grids, changes in how grids are named, the geographic diversity of grids, the rise of mini-grids, and the growth of vendors running private grids under the radar. Session Description: Even if you’ve only run the base standalone configuration in OpenSimulator, you’ll have seen the hundreds of config settings in bin/OpenSim.ini and bin/config-include/StandaloneCommon.ini. But that’s just scratching the surface – there are hundreds more in bin/OpenSimDefaults.ini and the other optional config files, not to mention Robust.ini. In this presentation, Justin Clark-Casey will take you on a whirlwind tour of the OpenSimulator config landscape, with a view to pointing out sights of particular historical and performance interest. Gasp at the brutal beauty of AppDomainLoading and OSFunctionThreatLevel in the plains of [XEngine]! Lose yourself in the desolate wastes of [Startup]! Relax in the tropical gardens of [AssetCache]! Session Description: This session will share Talkademy’s experiences of using virtual worlds in secondary schools doing language quests with mixed teams of remote partner schools and discuss Talkademy’s approach of monitoring ongoing activities and retrospective data analysis for evaluating and assessing students language competencies. Speakers: Gerhilde Meissl-Egghart is a free-lancer in the field of educational technology and co-founder of http://talkademy.org, a not-for-profit organisation, that engages in using and creating virtual environments for learning purposes. Talkademy.org services universities, companies and individuals with learning events using Second Life and OpenSim and is a frequent partner in European projects (Avalon, Talk-with-me, NEXT-TELL, euroversity, eNspiration). Before starting talkademy.org, Gerhilde received a dregree in computer science from the Technical University of Vienna and gathered about 10 years of professional experience in software engineering, project management, quality management and training. Session Description: In this presentation, the author outlines pedagogical as well as psychological considerations in applying a synchronous 3D virtual world environment (OpenSim) in an instructional setting. Specific pedagogical methods used to increase the quality of learning in a virtual 3D environment will be demonstrated (e.g. guided discussions, case studies, review of student work by students, captured chat logs, etc.). Psychological theory around student engagement and learning using virtual world technologies will be described, and the author’s own qualitative data will be shared that suggests virtual environments can enhance learning for students, especially those who are less extroverted in the classroom setting. Speakers: Bill Solomonson, PhD, CPT, is Assistant Professor of Education and Human Services at Oakland University in Rochester, Mi, where he teaches courses in training and development. He has consulted with many Fortune 500 organizations in enterprise performance improvement and learning solutions including e-learning design and development, distance education, organization development, and stand-up training. His research interests include the role of trust in the client-consultant relationship, multi-media learning theory, the development of meta-cognitive learning skills, virtual learning environments, and organizational performance improvement. Session Description: Closing party featuring live music by Opensim’s top performers, featuring regulars Casias Falta, Truelie Ellen, DJ StiofainX and special guests in the longest running live show in the metaverse at the Maritime Club in Virtual Belfast on OSGrid. The Maritime Club is based on the RL club where Van Morrison started his career in Belfast in Ireland in 1965. Session Description: Intel Labs and the Army Research Lab Simulation Training and Technology Center would like to invite attendees to Atropia: a demonstration of large scale training and education with hundreds of participants enabled by the DSG OpenSimulator extension. Atropia contains culturally representative content and role players from a fictional area near the Caspian Sea and is designed for learning of cultural knowledge through role playing. You are encouraged to explore the sim. Intel Labs and ARL/STTC staff will be in the central marketplace for discussions on usages and future directions for large scale education and training in simulated environments. Professional conduct is expected. Event only accessible to those who already have an account or hypergrid users. Session Description: Come to a meet-up on the Whole Brain Health Fairgrounds in Second Life. There we offer immersive solo and group experiences to promote brain fitness over the lifespan. These are based on current brain health research from psychology, gerontology, the arts, and neuroscience. We will meet outdoors in one of our beautiful open discussion areas. During the party we will offer a guided field trip through the Fairgrounds if you wish. Open to everyone—especially if you are interested in developing compelling Lifelong Learning opportunities in virtual worlds that incorporate a new understanding of what contributes to human well-being. Come join us! Maturity Rating: (G) Appropriate for All Ages.